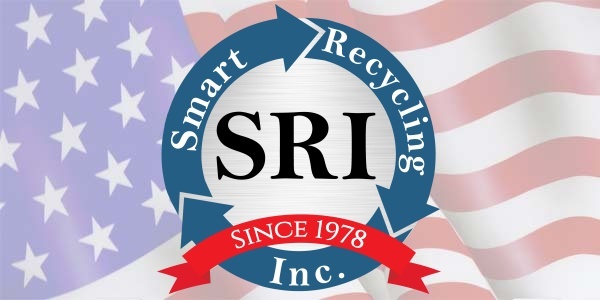 Metals We Recycle - Smart Recycling Inc.
How do we know what type of metal we have? You can start by applying a magnet to your metal. If it sticks, you have a ferrous metal like carbon steel or cast iron. If it doesn’t, you have a more valuable non-ferrous metal. Some examples of those are copper, aluminum, brass, stainless steel, and bronze. These are the most sought-after metals by companies like Smart Recycling. After the magnet test, you can look at color, texture, and consistency—along with some other simple guidelines—to determine the type of metal you have. As always, if you’re not sure which metal you’re dealing with, give us a call, and we’ll help you figure it out. About 41 million tons of aluminum are produced each year and used in cars, airplanes, cans, and just about any industrial application. It’s durable, highly conductive, lightweight, and reflective. Good news for consumers and businesses alike, it is the most abundant metal in the earth. It’s non-ferrous and non-magnetic. Brass is an alloy made up of mostly copper and zinc, whose proportions are adjusted to yield different kinds of brass. Among its variety of uses are pipes, tubing, musical instruments, bullet casings, and all kinds of decorative items. Brass has a few different looks: It can have a bright gold or reddish-gold color, depending on the percentage of copper that was used. It can also appear silvery-white when more zinc has been added. Like aluminum, it is non-magnetic. Copper is usually easy to identify by its red color that can oxidize to a green patina, making it very pleasing to the eye. It’s an excellent conductor of electricity (second only to silver in conductivity), so it’s often found in insulated wire. Copper is a weak metal, so it’s not good for structural applications. But it is hard to break, which makes it perfect for piping and tubing. It is also one of the non-ferrous, non-magnetic metals. Stainless Steel is one of the most popular members of the family of alloy steels, containing anywhere from 10% to 30% chromium. A variety of elements, including nickel, aluminum, copper, and titanium, could be added for corrosion and oxidation resistance and to give it special characteristics. There are more than one hundred grades of stainless steel. Inconel is the trade name for a group of more than twenty superalloys that are extremely resistant to oxidation and high temperatures. It is often used in the chemical industry and other extreme applications. Inconel looks like silver metal, much like stainless steel, but it is lighter than stainless. All grades of Inconel are non-magnetic. Monel is the trademark of a series of metal alloys, primarily composed of nickel and copper. It resists corrosion and acids, so it is commonly used in highly corrosive conditions. Small additions of aluminum and titanium create an alloy with the same corrosion-resistance, but with very high strength. Identification is difficult: Titanium Monel looks like 300 series stainless steel, plus some of its alloys are completely non-magnetic, while others are magnetic. Carbide (typically tungsten carbide and titanium carbide) is a very common material in cutting tools, so it will be prevalent in machine shops and tool-and-die work. You’ll find carbide on milling cutters, lathe bits, saw blades, drill bits, and grinding tools. It’s distinguishable by its dark gray color and extra weight (compared to high-speed cutters). It has weak magnetism. Cobalt is a silver-colored brittle metal that is used to produce strong alloys that are corrosion and heat resistant. It has a high melting point and is valued for its wear resistance and ability to maintain its strength at high temperatures. Along with iron and nickel, cobalt is one of three naturally occurring magnetic metals. And it can retain its magnetism at temperatures of up to 2012° F.
Nickel is a silvery metal that resists corrosion and is used to plate other metals to protect them. Its most common function, however, is in making alloys such as stainless steel. Nickel is seldom used in its pure form. It is usually combined with other metals—iron, copper, and chromium—to produce alloys that are superior to the original metals. Pure tungsten is a light gray or whitish metal that is soft and ductile. When it is alloyed with steel, however, it forms a tough metal that is stable at high temperatures. Tungsten-steel alloys are used to make all sorts of cutting tools and items like rocket engine nozzles. Tungsten carbide is an extremely hard tungsten compound that is used on drill bits, milling cutters, and in the mining industry. Hastelloy is one of the high-performance alloys that are used wherever there are high temperatures or a corrosive environment. Its predominant alloying ingredient is typically nickel. And it’s usually employed where less reliable iron-based alloys would fail—namely, the vessels of some nuclear reactors, chemical reactors, and pipes and valves in the chemical industry. Waspaloy is an age-hardenable, nickel-based superalloy with excellent strength properties through high temperatures. Other characteristics of Waspaloy include resistance to corrosion and oxidation, making it a good choice for service in extreme environments. Waspaloy is well-suited for gas turbine engine components that require considerable strength and corrosion resistance at high operating temperatures. Insulated wires are valued by recyclers because most of them contain copper. Other metals used as wires include silver, aluminum, and tungsten.